← Novak Djokovic is GQ’s Ace of the Year. Andy Roddick Kicks off Holiday Season with Lacoste at Bloomingdale’s. Andy Roddick took time from his off-season to kick off another season, this one being the holidays. Roddick stopped by Bloomingdale’s on 59th street in New York City yesterday to promote his sponsor LACOSTE while signing autographs and gear for fans on hand. As a gift with every LACOSTE purchase over $150, shoppers received a special “croc” iPod Shuffle, signed and pre-loaded with Andy’s favorite tunes. Roddick is expected to return to the courts back in January at the Brisbane International, a warm-up event before the Australian Open later in the month. Find some more photos of Roddick at ATN’s Facebook page here. 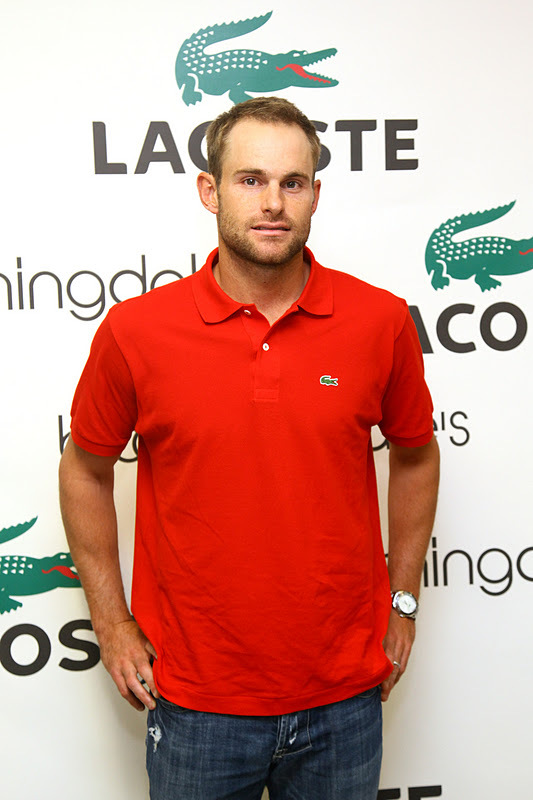 Comments Off on Andy Roddick Kicks off Holiday Season with Lacoste at Bloomingdale’s.